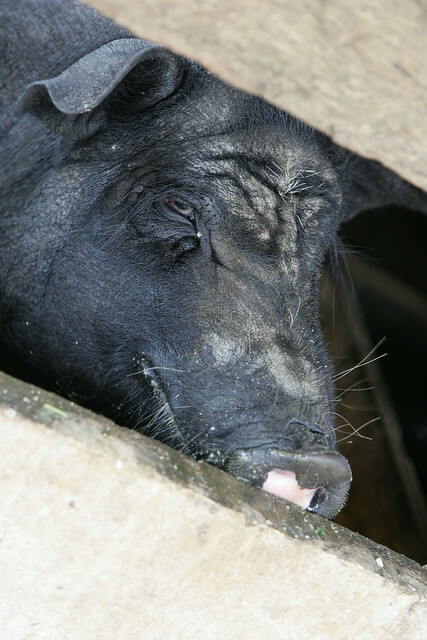 A pig kept by smallholder farmer Mai Thi Puong, near Meo Vac, in northern Vietnam (photo credit: ILRI/Stevie Mann). To receive alerts of new postings on this ILRI News Blog, including livestock-related images like the one above published in a new series of ‘photoblogs’, please subscribe to the ILRI News Blog by clicking on one of the buttons in the righthand column of this page: ‘Subscribe by email’ or ‘Subscribe to newsfeed’. Thank you!